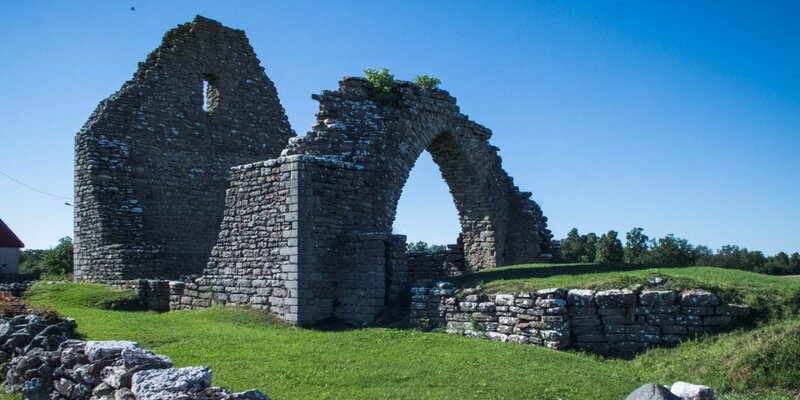 Gråborg is the ruin of the largest prehistoric castle on Öland and one of the largest of its kind in Sweden. It is located in the wooded region of Mittlandsskogen, about 5 kilometers west of Norra Möckleby. 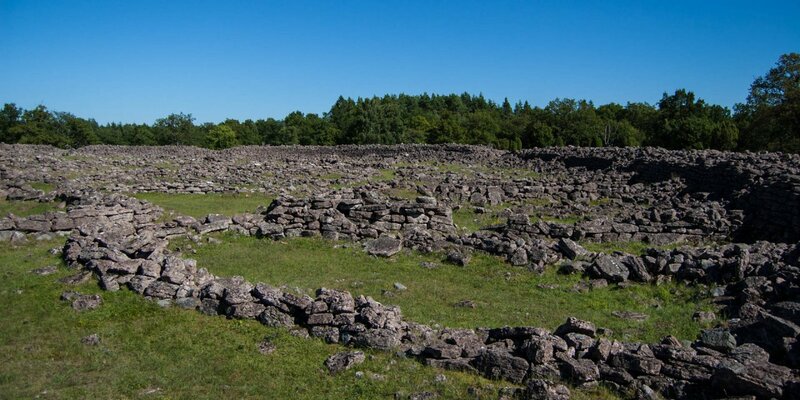 Unlike other prehistoric castles on Öland, Gråborg is not circular, but rather elliptical with dimensions of 210x160 meters The wall consists of stacked limestone slabs. It is currently still 4 to 7 meters high, but was originally about 8 to 10 meters high and approximately 10 meters thick. Similar to Eketorps Borg, Gråborg has been expanded in several stages. It was created around the year 500 AD. and had its greatest expansion in the 12th century. It is unkown, when Gråborg was finally abandoned. Because local farmers used the inner area of Gråborg over a very long time, the ground consists only of a green meadow. 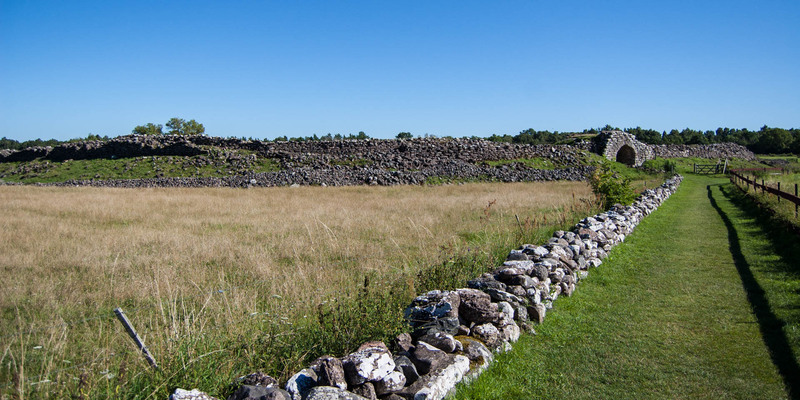 This is different from the castle Ismantorp, which is located only nine kilometers north, and where the foundations of all buildings are still visible. 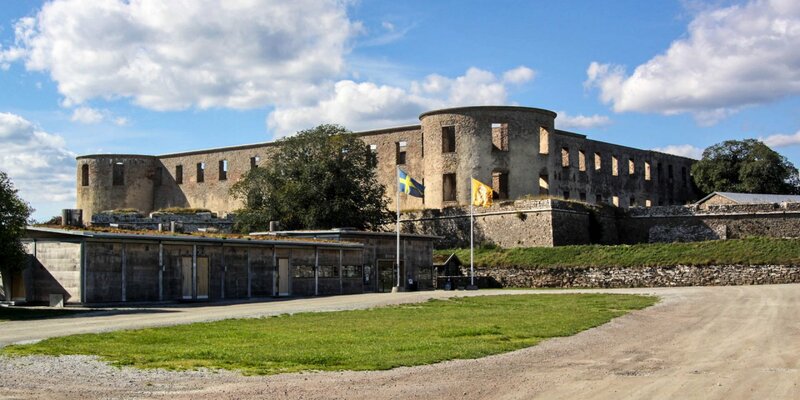 During the Middle Ages, Gråborg was probably transformed from a defensive fortification to a protected marketplace. This is indicated by ruins of the S:t Knuts Kapell, which are located just 200 meters from the castle. The small church dates to the 12th century and was dedicated to the patron saint of the medieval Danish merchants guilde Knutsgilde.